The Division of Agricultural Extension came into being as an independent full-fledged division in 1960. Since then, it has been playing a pioneering role in the growth and development of extension science with specific reference to research, education and training in extension education. It grew leaps and bounds under the dynamic leaders. The Division has been providing the national leadership role in areas of teaching, research, training and transfer of technology in the discipline of agricultural extension. The alumni of the Division are also manning the scientific and training institutions in India and abroad. The mandate of the Division is to conduct basic and strategic research for serving as a national point for quality and standard in the discipline of Extension Education, serve as a centre for academic excellence and provide national leadership in agricultural extension. 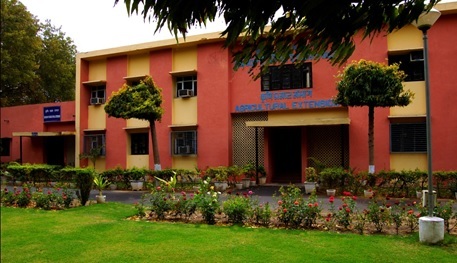 The Division was recognised as Centre of Advanced Studies in Agricultural Extension (CAS) in 1994, which was renamed as Centre of Advanced Faculty Training (CAFT) in 2010 by the ICAR. The CAFT has been established to conduct trainings on frontier and emerging areas for the extension professionals of SAUs and ICAR institutes and to carry out strategic researches in the discipline. The Division also undertakes extension outreach activities. To carry out basic and strategic research in the areas of extension education. To carry out post-graduate education programmes leading to the degree of M.Sc. and Ph.D. in agricultural extension to meet the trained man-power requirements of agricultural universities, research institutes and other development departments. To carry out advanced National and International training programmes to impart knowledge, skills and desired orientation to the persons engaged in teaching, research and transfer of technology so as to improve their efficiency and effectiveness and to selected farmers to enable them to assume the roles of community leaders. To render expertise support and advisory and consultancy services to extension activities of the institute.